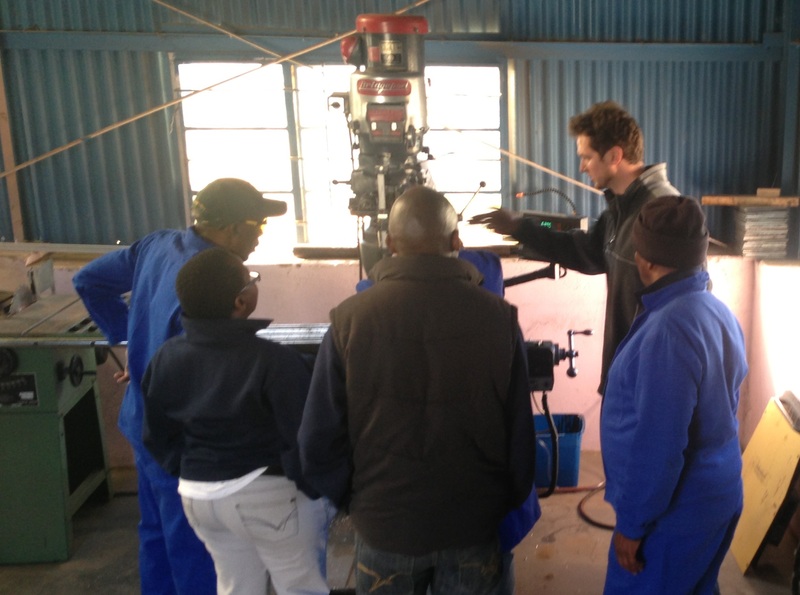 Training of local engineers and technicians is a key part of STG’s mission and goals. STG also works with other key stakeholders in project areas, including governmental, NGO, and for-profit organizations. In Lesotho, this includes the Government’s Appropriate Technology Services, Department of Energy, Renewable Energy Division, Ministry of Health, and Ministry of Education, as well as the Lesotho Electricity Authority, a number of educational institutions focused on technical education (the National University of Lesotho, Lerotholi Polytechnique, Thaba-Tseka Technical Institute), and NGOs managing health clinics in Lesotho (Partners in Health, CHAL, etc.). STG has developed a formalized training program focused on solar energy technologies as part of a UNDP GEF-SGP sponsored program with our partners in Lesotho. The course was first piloted in 2013-2014, training over 25 professionals, instructors, and partner engineers/technicians in classroom, hands-on, workshop, and manufacturing topics related to concentrating solar power (CSP) – the type of solar systems STG has designed and builds. Classroom topics cover ed include: the physics of light, optics, heat transfer, heat engines, modeling, solar tracking, sensors and controls, and CSP applications and economics. Workshop topics include computer modeling (e.g., CAD-CAM), engineering drawings, solar collector construction, thermal and optical efficiency testing, and instrumentation and evaluation. This course forms the basis of both a theoretical understanding of how concentrating solar power works and the training for manufacturing of solar systems. As such, STG is working with the National University to build on these intense short modules to develop appropriate undergraduate curriculum components, as well as modules for use in the Masters program under development for Renewable Energy, also as part of the UNDP GEF-SGP grant program.